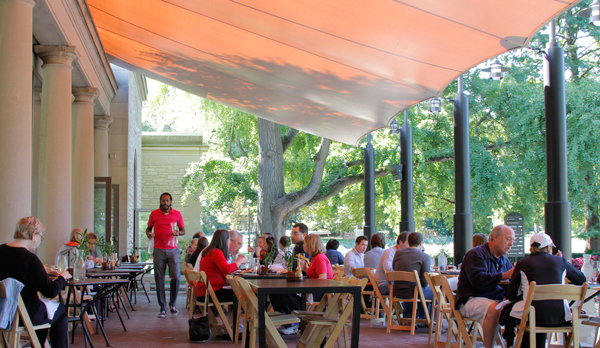 Enjoy Sunday brunch in Spink Pavilion, built by Garden founder Henry Shaw to serve as the main entrance to the Garden. Originally known as the Flora Gate, the pavilion is situated on the grand plaza overlooking the three large reflecting lily pools, the Milles Sculpture Garden and the world-renowned Climatron. Enter through Ridgway Visitor Center. Brunch not offered during Chinese Culture Days, Japanese Festival or Best of Missouri Market weekends. Inside and outside seating is available. Seatings are first-come, first-served. Call (314) 577-0200 for more information.